Jack White has been busy. Since we last heard from The Raconteurs (2008’s Consolers of the Lonely), White churned out three solo albums and three Dead Weather albums, appeared in films (It Might Get Loud) and TV shows (Portlandia, The Muppets), and continued running his very own record label, Third Man Records. 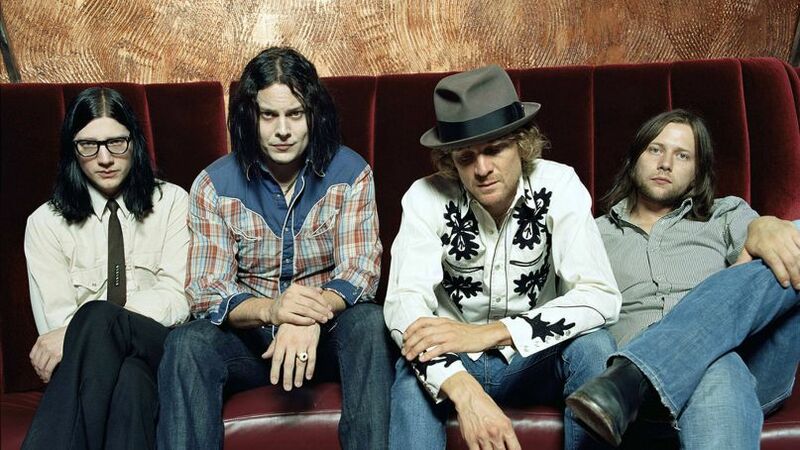 In sum, it’s been a really, really long time since The Raconteurs, White’s hook-driven rock outfit with Brendan Benson and the Greenhornes’ Jack Lawrence and Patrick Keeler, have made headlines. Though the band did play a few songs at a surprise onstage reunion in Nashville in 2015, they’ve been quiet until today’s announcement that a new Raconteurs album is on the way next year. Ahead of that release (date TBD), White has been prepping the latest Third Man Records Vault Package (#38) which is set to be a 10th Anniversary reissue of Consolers. The album will be on copper foil vinyl, remastered from the original tapes, and will include a bonus 7″ that will feature the first two new Raconteurs songs in 10 years. We don’t know the names of the tracks yet, but Third Man’s website confirms the songs are “from recent sessions that will ultimately result in a new Raconteurs album in 2019.” The tracks won’t hit streaming platforms, so the only way you can hear ’em is to pony up for the limited-edition package (or wait until they inevitably hit YouTube). The package will also include reimagined cover art, an embroidered “R” insignia patch and a set of four 2.5” brushed silver stickers featuring art from the album. 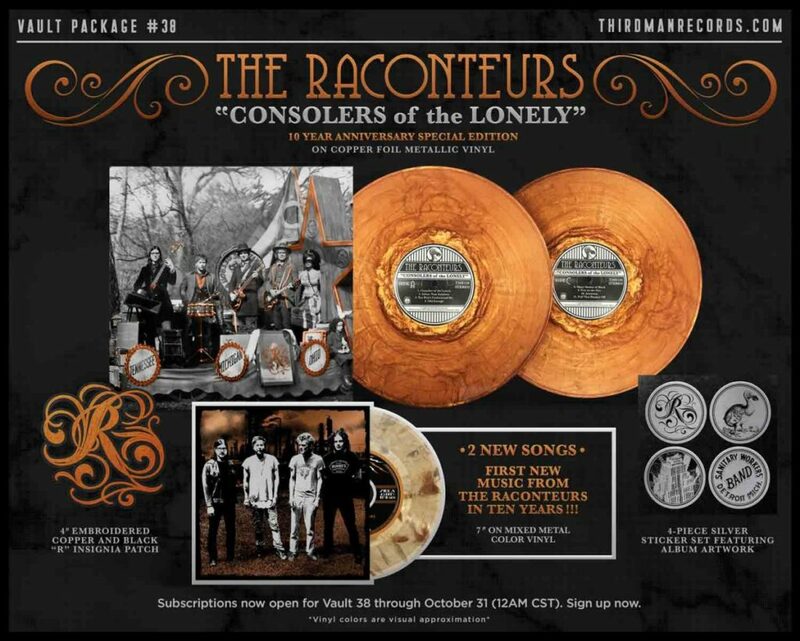 Feast your eyes on this baby below and get hyped…a new Raconteurs album is in the works! Sign up for Third Man’s Vault here.